2 1 Month / 2 Months / 3 Months CRASH COURSE for RMS OTA/IMA/Air Force & Navy Exam Coaching. 4 Special RMS Target Batches For Graduation Appearing Candidates. 5 Hostel & PG Facility – Available for RMS Students those are from Other States..
6 Specially Designed +14 Booklets Set For RMS PREPARATION Provided to the Cadets. 7 Best Teachers Available for RMS Subjects like Math, English, G.K, Chemistry, Physics & Others. 8 Optional Green Card Facility For Candidates those wants to free Re-Join for RMS Batches Again. 9 9. Solid & Compulsory Revision of Previous RMS 5-Year Question Paper provided to Every Student. The Rashtriya Military School (RMS) has conducted the Common Entrance Test (CET) exam for getting admission in the VI and IX class on December.. As per every year this year also the RMS conducted the CET exam to get admission in the six and nine class for the academic year 2018-19. Based on the notification subsequent to evaluating the Answer sheets of the candidates the Result of the CET Exam is likely to be announced at the website of the RMS. RMS Exam Coaching in Delhi – DELHI CAREER COACHING provide the Best RMS online Coaching for exams 2018-19. We provide coaching for RMS entrance exam for Class 6 and class 9. We trained the students from all over India. It is the Best institute for RMS Coaching in Chandigarh. We have the best infrastructure for the students. 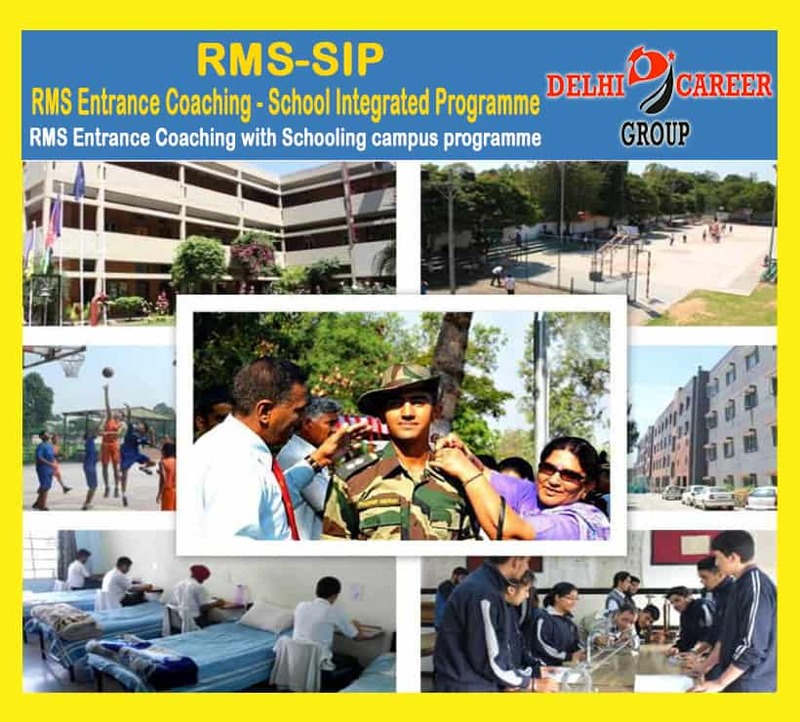 DCG also provides RMS COACHING IN CHANDIGARH, RMS COACHING IN DEHRADUN and also RMS COACHING IN INDIA. DCC is very well known for RMS ADMISSION TEST and they also provides RMS ONLINE CLASSES for their students. AGE: Only boys between 10 to 11 years of age for Class VI of age as on 01 Jul other academic year are eligible for admission. Six months relaxation in upper age limit is permissible for the wars of personnel killed in action. QUALIFICATION: Candidates should have passed Class V for Cass VI from a govt/recognized school before the date of admission to a Rashtriya military school. However, a student studying in Class V is eligible to appear in the respective Entrance Test. Know Your Country India, States of India, Union Territories, First in India, India – Important Facts, Our Defence Forces, Atomic Power Stations in India, Important Days, Classical Dances of India, National Parks and Wild Life Sanctuaries in India, Important Towns on Rivers, Countries, Capitals and Currrencies, Inventions and Inventors, Some Historical Events / Land Marks, Games and Sports, Some Games and Sports Terms etc. Exam pattern for class 6th and 9th so check your respective exam pattern. English of Class V Standard. (b) 30% for wards of Officers of Army, Navy and AF (including retired Officers) and wards of civilians. We have a team of expert facilities who prepare you for RMS ENTERENCE EXAM COACHING. DCC provide you Competitive environment which will boost your moral. Special classes are conducted for doubtful sessions and including RMS MOCK TESTS. Our faculty motivates you on regularly basis till you achieve your goal and also provides RMS ONLINE STUDY material for RMS ONLINE TEST. RMS LAST YEAR paper will help you a lot. We also provide special concessions for the particular type of group. DCC also provides RMS ONLINE COACHING for their students.